Coffee has been a breakfast and break time staple everywhere in the world. A lot of businesses has emerged due to the influx of working citizens needing the caffeine fix to carry on with their daily jobs every single day. For coffee shop owners, there’s a fierce competition going on in the market nowadays. How to get an edge among its peers is one question a company website answers. 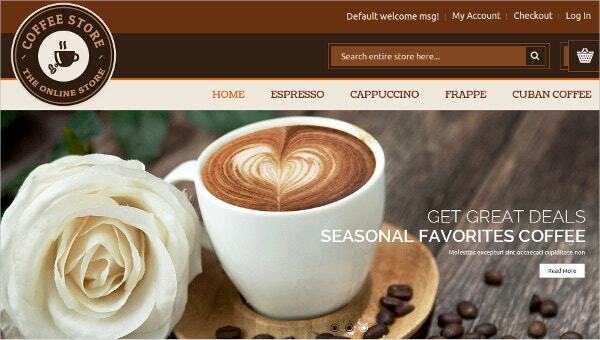 Therefore, we present you a collection of coffee shop Magento templates that you can use for your websites. 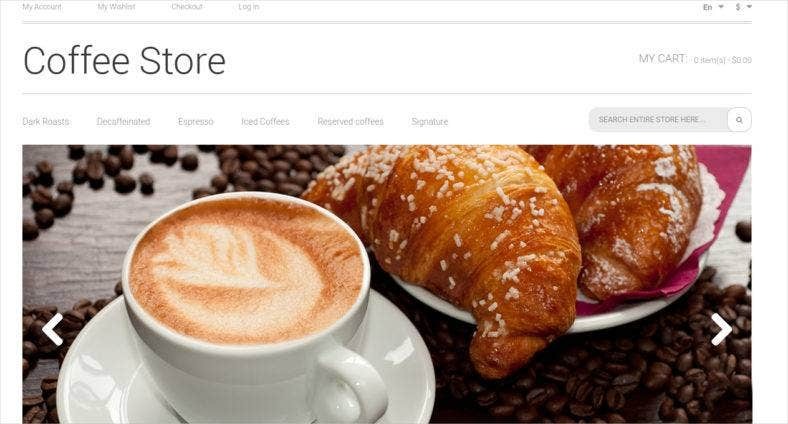 The Coffee Shop theme is a fully responsive Magento template with a parallax effect for accessing important information on the homepage. It allows products to be organized in a grid-like view with clear pricing details and bold call-to-actions. Not ony great for coffee houses but also for restaurants and bars as well. This template is quite different with its dainty color scheme which is perfect for themed coffee, food or chocolate stores. It features a fluid Magento product grid to showcase your menu as well special modules like Featured and BestSellers to highlight your best products. It is fully responsive and SEO friendly. This Magento website theme looks very modern with its use of solid neutral colors. The split layout is also interesting as it allows users to discover more pages of the website while enjoying some beautiful imageries. It also features exciting scrolling and hover effects. 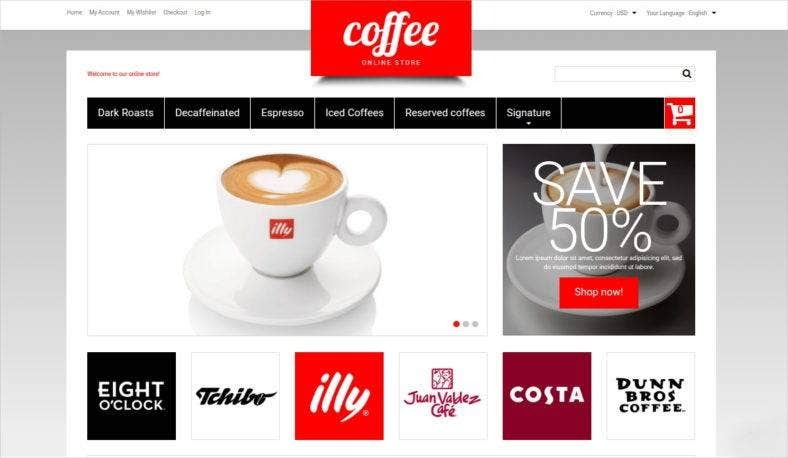 Coffee theme is perfect for both coffee wholesalers and retailers as well. 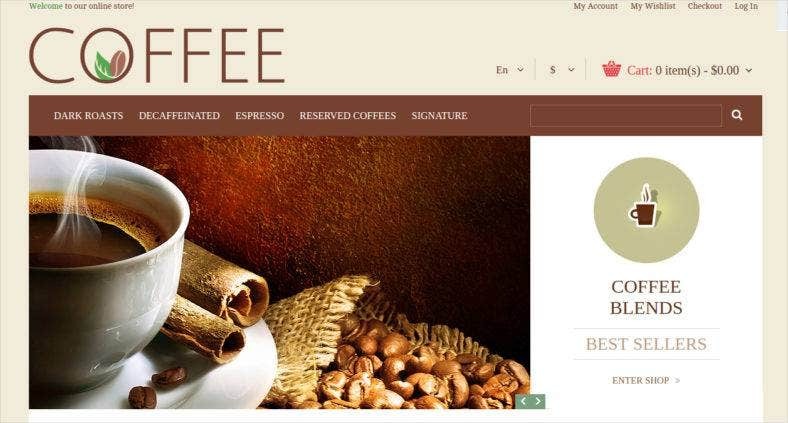 Coffee is a responsive Magento theme which offers great flexibility and customizability on its design. It uses a color combination not far from the product it’s representing but with a neat and professional look. Aside from coffee, this theme can also be used for other websites offering food products. A coffee website theme that deviates from the usual color palette with its white, red and black combination. This is great to use when you prefer an edgy and sophisticated design rather than common muted one. It features a visually rich responsive layout making it ideal not just for coffee or wine, but other food and non-food products. An illustrated background makes this theme unique with a less professional but whimsical look. 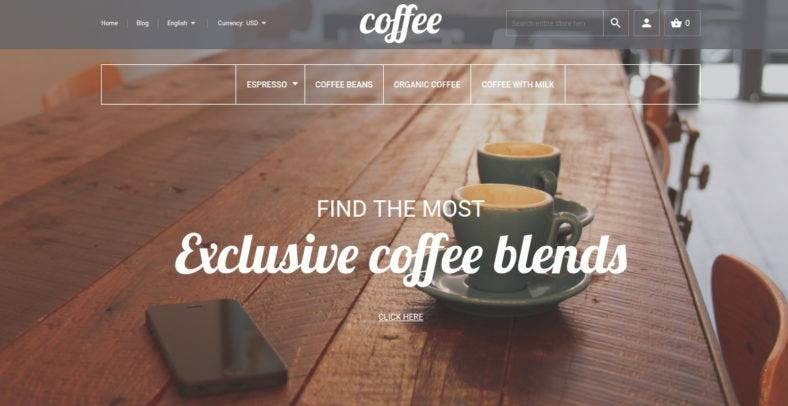 Created with natural pastel colors and featuring an image slider header, this is another template perfect for themed coffee shops which are gaining popularity nowadays. This template is completely responsive so it looks great in all devices. Featuring high-resolution images on the homepage, this template is perfectly useful when you want to showcase how delicious your food is or how aromatic your coffee smells. Coffee Aroma is an ultra-modern website with its white background, neat fonts, and ghost buttons. Perfect for posh and high-end coffee shops and restaurants. Using a Magento platform for your coffee shop websites provides you the best solution for your e-commerce business. It is considered to give you the most flexibility in building your online stores and shops. Therefore, you shouldn’t miss this collection and download a theme of your choice now.